The much awaited remake of the Marathi blockbuster flick Sairat has released in theatres after a long wait. 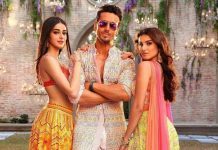 The makers as well as the young actors Janhvi Kapoor and Ishaan Khatter are excited about the release. 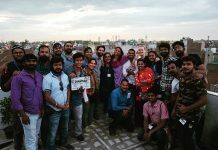 The plot of the flick is the same as the original but director Shashank has changed the entire back drop of the film from a remote village in Maharashtra to a conservative society in Rajasthan. The makers indeed had a major task of recreating a blockbuster regional flick in to a Masala Bollywood entertainer. People who do not know about the Marathi film Sairat, it is the story about two youngsters who fall in love with each other. Ishaan who plays Madhu, is madly in love with Parthavi, played by Janhvi who is the daughter of a wealthy and powerful hotelier and politician. Both fall in love and then begins their struggle to fight against the society. Ishaan has truly proved to be the star of the film. During the first half of the film, Ishaan’s comic timings are impressive. The second half goes towards the emotional side and his performance actually makes the audience feel bad for what he is going through. Many thought that Sridevi’s daughter would be the one to face all the judgements of the audience but the debutant has pleasantly surprised everyone. There might be some rawness in her performance but when it comes to emotions, you can surely see a star in the making. Janhvi and Ishaan’s chemistry was bang on and managed to impress the audience and critics. Supporting characters in the film played by Ashutosh Rana, Kharaj Mukherjee and Ankit Bisht have contributed well with their performance. Dhadak is simply an adaptation of the Marathi flick but has a very different perspective and is surely welcoming.